This is a fantastic location on a highly visible street ready for you to set up your business or use for yourself! 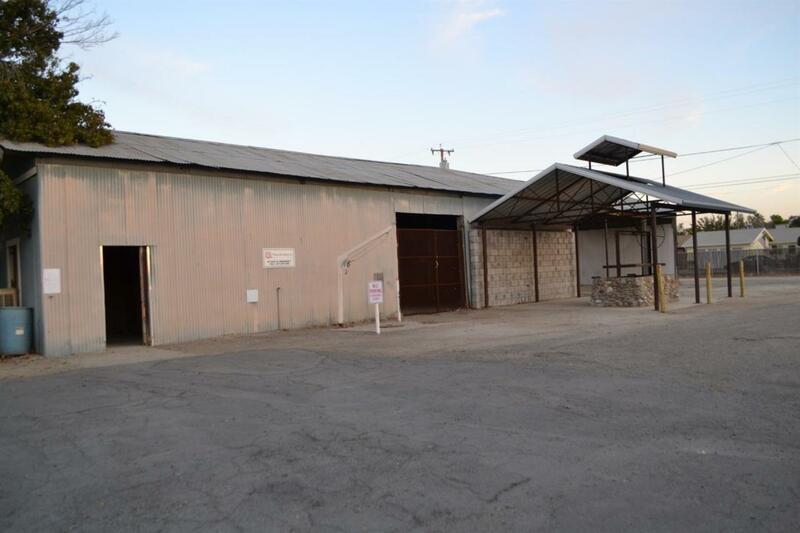 The HUGE warehouse/shop offers almost 3000 square feet of room to store or work on equipment and two additional smaller rooms, one with a drain for ice storage if needed. All located on a 25,000 square foot lot! The beautiful stone BBQ is an extra bonus situated under a covered awning. There's also a deep pit equipped with a hoist. Perfect set up to have a year-end BBQ's to show your employees how much you appreciate them! This can be purchased separately or purchased with the other two parcels located at 256 E Polk St & 278 E Polk St. Zoned Commercial. Be sure to check with the City of Coalinga that the zoning will be compatible with what use you have in mind.